A.Fagundes Plumbing & Heating can help you find the perfect Lennox system for your home. Whether you are looking for a single heating or cooling product, or you’re in the market for a whole system, we have the solution for you. Every Lennox product and system is built to make people feel comfortable in their homes. Innovative systems with quiet operation and precise control improve the quality of the air in your home, while maintaining optimal temperature and humidity levels. And with our installation and service expertise, we’ll meet your unique needs quickly and with the highest level of care. 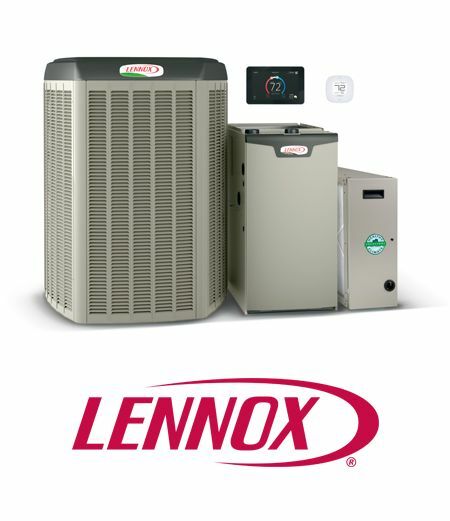 We’re proud to offer Lennoxhigh-efficiency gas and oil furnaces, central air conditioners, heat pumps and dual-fuel options that combine a gas furnace with an electric heat pump for optimal energy use—all designed to work with our precision temperature controls to help you save on utility bills. Stop and think about the importance your heating and cooling system is to your life. It’s nice to know that all you have to do is adjust the thermostat, and you will be comfortable. Lennox® innovation makes it the perfect choice for your home. Each product is a standout on its own, leading the market in efficiency, quiet operation and comfort. Working together in one system, they create an environment of perfectly heated and cooled air. There is a tax credit of up to $300 available on new installations of high efficiency equipment and many utility incentive rebates up to $450 in MA and NH. In New Hampshire rebates are up to $450 on oil and propane forced hot air Lennox furnaces. Heat pumps can heat a home at a lower cost than a furnace above specific temperatures. The furnace can heat the home at a lower cost than a heat pump below specific temperatures. In markets where furnaces are the dominate heat source, and air conditioners are used to cool in the summer, hybrids make the most sense. Not only can a heat pump cool the home as efficiently as the air conditioner, they can cost effectively heat the home to a specific temperature while lowering the consumers total heating costs for the winter. When the outdoor temperature requires an additional heat source, the heat pump will turn off, and the furnace will take over to heat the home. This is done economically by setting the thermostat to a specific outdoor temperature.